ISLAMABAD: The National Accountability Bureau (NAB) has provided a list detailing Asif Ali Zardari's assets to an accountability court (AC). 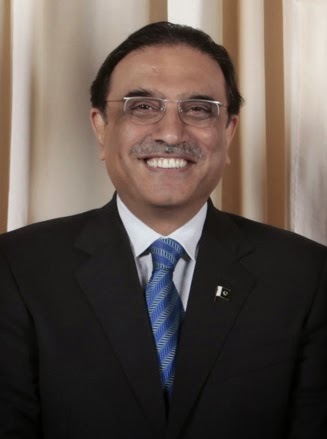 NAB had filed a reference against Zardari for accumulating prima facie assets, properties and bank accounts overseas from corruption in collaboration with his spouse Benazir Bhutto and other government functionaries. The court has also ordered freezing Zardari's foreign properties. Agricultural land in Deh 51 Dad Taluka, Nawabshah. Plot No three and four Sikni (Residential) Near Housing Society Ltd, Nawabshah. Café Sheraz (CS No 2231/2 and 2231/3), Nawabshah. Agricultural land in Deh 23-Deh Taluka and Nawabshah. Agricultural land in Deh 72-A, Nusrat Taluka, Nawabshah. Agricultural land in Deh 76-Nusrat Taluka, Nawabshah. Plot No A/136 Survey No 2346 Ward A Government Employees Cooperative Housing Society Ltd, Nawabshah. Agricultural land in Deh Jaryoon, Tando Allah Yar, Hyderabad. Agricultural land in Deh Aroro, Tando Allah Yar. Agricultural land in Deh Nondani, Tando Allah Yar. Agricultural land in Deh Lotko, Tando Allah Yar. Agricultural land in Deh Jhol, Tando Allah Yar. Agricultural land in Deh Kandari, Tando Allah Yar. Agricultural land in Deh Deghi, Tando Mohammad Khan, Hyderabad. Agricultural land in Deh Rahooki, Hyderabad. Property in Deh Charo Taluka, Badin. Agricultural property in Deh Dali Wadi Taluka, Hyderabad. 13 acres of land at Maj Gulradi (KPT land). One acre plot, GCI, Clifton. One acre of land, State life (International Centre, Sadar). Mariston Securities Inc, British Virgin Island. ( no website found). Marleton Business SA, British Virgin Islands. (no website found). Capricorn Trading SA, British Virgin Islands. (no website found). Fagarita Consulting Inc, British Virgin Islands. Marvil Associated Inc, British Virgin Islands. Pwnbury Finance Ltd, British Virgin Islands. Oxton Trading Ltd, British Virgin Islands. Brinslen Invest SA, British Virgin Islands. Chimitex Holding SA, British Virgin Islands. Elkins Holding S. A. British Virgin Islands. Minister Invest Ltd, British Virgin Islands. Silvernut Investments Inc, British Virgin Islands. Tacolen Investment Ltd, British Virgin Islands. Marlcrdon Invest SA, British Virgin Islands. Dustan Trading Inc, British Virgin Islands. Reconstruction and Development Finance Inc, British Virgin Islands. Lapworth Investment Inc, 202 Saint Martin Drive, West Jacksonville. Intra Foods Inc, 376 Lomrel Grove, Jacksonville, Florida. AS Realty Inc, Palm Beach Gardens, Florida. Rockwood Estate, Haslemere Road, Surrey. 26 Palace Mansions, Hammersmith Road, London W14. (address does not exist on google). 23 Lord Chancellor Walk, Coombe Hill, Kingston, Surrey KT2 7 AG. (address not valid). The Mansion, Warren Lane, West Hampstead, London NW6. (on google several places show up - can't be true). Cauisee De-mons, 1670 Brussels. (address not valid). Stud farm in Texas. (no address - can't find it). Wellington Club East. (no address - can't find it). Holiday Inn Huston (Owned by Asif Ali Zardari, Iqbal Memon and Sadaruddin Hashwani). There are 10 Holiday Inns in Houston. Union Bank of Switzerland (Account No.552.343, 257.556.60Q, 433. 142.60V, 216.393.60T). Citibank Private Limited (SWZ) (Account No.342034). Citibank NA Dubai (Account No.818097). Barclays Bank (SUISE) (Account No.62290209). Barclays Bank (SUISEE) (Account No.62274400). Banque Centrade Ormard Burrus SA. Banque La Henin, Paris (Account No.00101953552). Bank Natinede Paris in Geneva (Account No.563.726.9). Barclays Bank (Knightsbridge Branch) (Account No.90991473). Barclays Bank (Kingston and Chelsea Branch) (Sort Code 20-47-34135). National Westminster Bank (Alwych Branch (A/C No.96832320). Harrods Bank Limited (A/c No.11309063). Midland Bank (Pall Mall Branch). National Westminster Bank, Barking Branch (A/C No.28559899). Habib Bank AG, Moorgate, London EC2. National Westminster Bank, Edgware Road London W2. Banque Financiei e Dela Citee. Habib Bank AG Zurich, Switzerland. Credit Agridolf, Branch 11, Place Brevier. 76440, Forges Les Faux. Plot no. 121, Phase VIII, DHA Karachi. Agricultural land situated in Deh Dali Wadi, Taluka, Tando Allah Yar. Houses at Hammersmith Road, Wilton Crescent, Kingston and in Hampstead. Habib Bank (Pall Mall Branch). National Westminster Bank, Barking Branch, (Account No. 28558999). The exile of the Sharif family to Saudi Arabia following the pardon announcement by the government, has deprived the Raiwind dwellers of their 15 assets, worth billions of rupees. A spokesman for the government, Maj-Gen Rashid Qureshi, told Dawn on Monday that almost 80 per cent of the Sharifs' property had been "taken over" by the government. According to Mr Qureshi, the 15 assets that have been taken over by the government in return for providing a safe "exit" to the Sharif family include Rs300 million in cash; industrial assets including Brother Steel Mills; Ilyas Enterprises; Hudaybia Paper Mill; Hudaybia Engineering Company; Hamza Spinning Mills; residential property including the Model Town bungalow; three houses at Mall Road Murree; property at 135 Upper Mall Lahore; a plot at Model Town Lahore; a plot at Upper Mall, Lahore; agricultural property including 10.2 kanals of land at Khanpur Sheikhupura Road Lahore; 41 acres and 7 kanals of land at Sheikhupura; 14.2 kanals of land and another 35 kanals at Bhaipharu in Chunnian and 88 kanals of land at Raiwind. The Raiwind palace of the Sharif family, which ruled the country for almost 15 years, has however not been confiscated by the government. Mr Qureshi dispelled the impression that there had been any underhand deal between the government and the Sharif family. He said the government had simply responded to the repeated mercy petitions filed by the Sharifs. Contrary to what the Sharifs were pretending before the public and in their statements to the media, Mr Qureshi said they had been writing to the government including the chief executive and the president, appealing for pardon. "We were receiving their requests for mercy in the past three to four months particularly after the courts handed over decisions against Nawaz Sharif," he said. These requests were renewed recently following Nawaz Sharif's reported ailment. Mr Qureshi stated that since the chief executive had repeatedly said that he was not vindictive so he recommended to President Tarar that the imprisonment of the Sharifs be pardoned and turned into exile while the rest of the punishments including fines, forfeiture of property and disqualification should stay. When told that the people in streets felt as if they had been betrayed by the government for allowing a safe exit to the Sharifs, the government spokesman said, "the government has actually taken a compassionate view of the situation and converted the imprisonment into exile." Qureshi dispelled the impression that a "deal" was 'brokered' either by a Saudi prince or was the exit the consequence of Saudi Arabia's pressure. "There has been no pressure on the government," he clarified, adding that the Saudi authorities, who were also approached by the Sharif's, had actually offered to the military regime in Pakistan that the country was ready to accept the family if exiled. "The Saudi's were also interested in treating the ailing Sharif," he said. He stressed that the government had agreed to the "plea bargain" remaining within the limits of law and the constitution. Mr Qureshi said none of the exiled members of the Sharif family except Mian Sharif could come back to Pakistan for a period, not known to the general himself. ISLAMABAD: The government has confiscated huge assets, properties and Rs 300 million bank deposits of the Sharif family, an official announcement said here on Sunday. Liabilities and encumbrances of any of these assets and properties will be cleared by the Sharif family before the takeover by the government, the announcement said. Confiscated industrial assets include Brother Steel Mills, Hudabiya Paper Mills Limited, Hudabiya Engineering Company and Hamza Spinning Mills Limited. Residential properties include houses at Model Town, Lahore; 135 Upper Mall, Lahore; one plot at Model Town, Lahore; one plot at Upper Mall, Lahore; and three houses on Hall Road, Murree. Agriculture properties include 10 kanal and two marla land at Khanpur, Sheikhupura Road, Lahore; 41 acres and seven kanal land at Watton, Sheikhupura; 14 kanal and two marla land at Bhaipheru, Chunian; 35 kanal and three marla land at Bhaipheru, Chunian; and 88 kanal land, Phubtian, Raiwind. Bank deposits: Rs 300 million. Industrial assets: 1. Brother Steel Mills; 2. Ilyas Enterprises; 3. Hudabiya Paper Mills Limited; 4. Hudabiya Engg Co; 5. Hamza Spinning Mills Ltd. Residential properties: 1. Residential houses at Model Town Lahore; 2. 135-Upper Mall, Lahore; 3. A plot at Model Town, Lahore; 4. A plot at Upper Mall, Lahore; 5. Three houses on Hall Road, Murree. Agricultural properties: 1. 10 kanal, 2 marla land at Khanpur, Sheikhupura Road, Lahore; 2. 41 acres, 7 kanal land at Watton, Sheikhupura; 3. 14 kanal, 2 marla land at Bhaipheru, Chunian; 4. 35 kanal, 3 marla land at Bhaipheru, Chunian; 5. 88 kanal land, Phubtian, Raiwind. Important liabilities/encumbrances of any of these assets/properties will be cleared by the Sharif family before takeover by the government. Meanwhile, after being granted pardon by the president, deposed prime minister Nawaz Sharif and 18 members of the Sharif family left Pakistan on Sunday morning to begin their exile in Saudi Arabia, military sources confirmed to The News. Ousted by the military last year, Nawaz Sharif struck a deal with the government when the Saudi Royal family intervened to secure his release. The 19 members of the Sharif family were brought to Chaklala from Lahore, Karachi, Attock and Islamabad amid tight security before they boarded the waiting Saudi royal plane to take them to Jeddah. "They left Pakistan early Sunday morning and they have reached Saudi Arabia," military spokesman Major General Rashid Qureshi told The News. Earlier, Nawaz Sharif was taken to the Armed Forces Institute of Cardiology (AFIC) for medical check-up. Sharif was brought to the AFIC from the 16-century Attock Fort, where he was languishing for the last several months. Eyewitnesses told The News that two coaches brought the members of the Sharif family, including Mian Mohammad Sharif, Nawaz Sharif, Shahbaz Sharif, Abbas Sharif, Hussain Nawaz, Begum Kulsoom Nawaz, Mrs Saira Hussain, Mrs Abbas Sharif, Mohammad Safdar, Mariam Safdar, Asma Sharif and kids of the family, to the Chaklala Air Base at around 6.00 am. "We are not slipping out of Pakistan in the dark of the night," Begum Kulsoom Nawaz told reporters at her Islamabad residence at 4 am, minutes before she left for the airport. No one from the neighbouring houses or the PML workers gathered or appeared on their balconies to see the departing Sharif family. Efficient sleuths of the Islamabad administration ensured that nobody came to the place or nearby nor any irrelevant cars followed them. Clad in a dark gown and with a smiling face she denied that the Sharif family sought exile and added they were forced to leave the country. "I will be back in a month or two or as soon as Nawaz Sharif recovers from his ailment," she added. She said no formal written request was made to the government for sending them abroad. She however termed the family lucky to be going to the holy land. "We are being thrown out," she claimed. She said had the family tendered any apology the rulers should disclose it to the public. "All the best wishes for the nation and the people of Pakistan and Almighty Allah may bless them with happiness and prosperity. We will return to the country as soon as we get the opportunity," said Kulsoom, who was flanked by Safdar, her son-in-law, and a small crowd of Muslim Leaguers. "We are not thankful to the government for sending the Sharif family abroad," said the newly-appointed Acting President of Pakistan Muslim League, Javed Hashmi. The mood of the Muslim Leaguers was clearly evident as only Javed Hashmi, Tehmina Daultana, Zafar Iqbal Jhagra, Mushahidullah Khan and few other party leaders were present to off the family. Kulsoom and other family members were confined under a verbal order in their F-10 rented residence since Saturday evening. Some ladies, including wives of Saifur Rehman and Mujibur Rehman, met Begum Kulsoom Nawaz and others and shared their grief. Trucks loaded with luggage of the Sharif family followed the cavalcade which took them to 10-Corps Mess where they first time met each other. Mian Sharif, father of Nawaz Sharif, and Shahbaz Sharif, saw their jailed sons first time since October 12, 1999. Safdar, son-in-law of Nawaz Sharif, told The News that it was no more possible for them to stay in Pakistan as Nawaz Sahib has been exiled to Saudi Arabia. "The life was very painful, but we are thankful to Almighty Allah for saving our lives," he added. A valuation committee, comprising chartered accountants and a representative of the government, would determine the total worth of industrial units, agricultural land and other assets surrendered by the Sharif family to clear its liabilities, sources told Dawn on Sunday. Chartered accountant firms have already been identified but the government has yet to nominate its representative. The committee will start deliberations next week and will take a couple of weeks to complete its work. Most of the assets surrendered by the Sharif family are expected to be liquidated after the valuation process gets completed. Sources familiar with the business interests of Sharif family say that Hudaibia Paper Mill and Hudaibia Engineering are the only two industrials concerns surrendered by Ittefaq Group to the government. The administrative control of both the units was handed over to the government on Sunday. The Sharif Medical City and Educational Complex will also be surrendered shortly. "These are welfare projects and are unlikely to be liquidated. There will, however be a change in the board of trustees," sources said. Bhopattian farm, agriculture land in Raiwind and Multan and 180/181-H, Model Town, the residence of the Sharif family will also be handed over to the government. However, the Sharif family residences in Jati Umra will be retained by them. "Ramzan Sugar Mill (Chiniot), Chaudhry Sugar Mill (Gojra) and Mehran Ramzan (Manga Road) will remain with the Sharif family and their affairs will handled by Hamza Shahbaz Sharif," the sources said. Hamza Shahbaz will be the only member of the Sharif family who will continue to live in Pakistan. Salman Shahbaz, the younger son of former Punjab chief minister Shahbaz Sharif, is expected to leave for the United States within a week or so to pursue his undergraduate studies at Boston University. Meanwhile, Ittefaq Group has resorted to a large-scale layoff of senior executives and managers. ISLAMABAD: The billionaire club of the Pakistani politicians, including the deposed prime minister Nawaz Sharif and his brother Shahbaz Sharif, does not pay any tax. Despite having declared assets of Rs 676.8 million of the Sharif family, both the brothers filed a zero income tax and deficit wealth tax returns, last year. This very fact motivated donors to force the authorities to publish tax records of all the parliamentarians and senior bureaucrats, which is due now shortly. Out of every 100 persons of this poor country of 140 million people, only one Pakistani is a taxpayer, and the tax to GDP ratio is not more than 10 per cent, against an average of 18 per cent for the third world countries. Tax evasion is rampant and, generally, everyone who is some one in this country does not like to pay his or her tax. Agriculture sector is the best example. With its 25 per cent share in the gross domestic product of over Rs 3,000 billion, its share in income tax is mere few hundred million rupee. More than 90 per cent members of the electoral Houses, both at the federal and the provincial level, has a feudal and landlord background. So, they use all their powers to stay out of the tax net. The industrialists used this provision by holding large agricultural farms to hide their taxable incomes. Traders or retailers, known as shutter power, have also been successful by shutting their business down whenever an attempt was made to tax their incomes. So, it leaves the burden of tax only on the urban salaried class. This constrained revenue outlook forced the policy-makers in initial years of the 90s to introduce deductions at source on various income streams, including interest incomes, rental income, income of exporters, importers, suppliers, contractors, etc, in shape of withholding and presumptive taxes. Fixed levies were also introduced either on ownership and trading in assets, like property and automobiles, or on consumption of services, like electricity and telephone. After failure of these attempts, another indirect mechanism of surcharges emerged, largely on petroleum products, and more recently on edible oils. Rather than transferring the benefits of falling prices to consumers, the government found it expedient to pick up the difference as a windfall in revenues. The tax strategy for the fiscal 1998-99, remained weak and non-innovative that forced the multilateral donors to put their foot down by pressing the government to go for the value-added mode of sales tax. Removal of sectoral exemptions from GST, like services, electricity, gas and POL products has to be announced, and the retailers and fixed taxpayers were brought under a turnover tax regime to nab the potential tax evaders. These measures were generally, revenue-neutral. Some of these measures were, however, revenue-oriented, like increase in gas and furnace oil prices, GST on packed/ branded food items, and introduction of turnover tax on retailers and fixed taxpayers. During the caretaker regime of Moeen Qureshi, tax records of various leading politicians were leaked to the press. These records showed that majority of the politicians either filed zero income tax statements, or made partly contributions against their huge declared and undeclared assets. Benazir Bhutto, Farooq Leghari and others were also mentioned in such news reports. The 11-member family of Mian Muhammad Nawaz Sharif holds a gross wealth of Rs 676.8 million (declared in tax returns). However, Nawaz and Shahbaz paid no income tax or wealth tax to the national exchequer. Following the modern tradition of large industrial houses, the family of Nawaz Sharif also owns large agricultural farms. Nawaz Sharif himself owns two pieces of land at the Raiwind Road and Mandiali (Sheikhupura), containing 212 Produce Index Units (PIUs). According to the tax statements of June 30, 1998, total income tax paid by the 11-member Sharif family was just Rs 0.25 million. The family also paid Rs 0.55 million as wealth tax and 0.13 million as agriculture tax raising the total tax payment of the family to Rs 0.94 million. This amount is just a peanut, keeping in view their business empire that actually runs into many billions. The tax statements declared majority of the industrial concerns in losses and the income tax was computed largely on the salary paid to the directors of the group or on the dividend paid by Chaudhry Sugar Mills. The total income tax, wealth tax and agriculture tax paid by the family, with a gross worth of Rs 676.8 million, was just Rs 0.94 million or a little above 0.1 per cent of the total declared asset value of the family. The 11-member family includes Mian Muhammad Sharif, Mrs Shamim Akhtar, Mian Muhammad Nawaz Sharif, Mrs Kulsoom Nawaz Sharif, Hussain Nawaz, Hassan Nawaz, Mian Shahbaz Sharif, Mrs Nusrat Shahbaz, Hamza Shahbaz, Mian Abbas Sharif and Mrs Sabiha Abbas. Majority of the assets were in the name of elders, minors and wives of the Sharifs. The factories declared by the Sharif family show losses. These industrial units, as shown in the various tax returns include Chaudhry Sugar Mills, Ramzan Sugar Mills Ltd, Mehran Ramzan Textile Mills Ltd, Muhammad Baksh Textile Mills, Hamza Spinning Mills, Hudabiya Paper Mills, Hudabiya Engg (Pvt) Ltd, Hamza Board Mills, Kulsoom Textile Mills, Ittefaq Brothers (Pvt) Ltd, Ilyas Enterprises (Pvt) Ltd, Brothers Steel Ltd, Ittefaq Sugar Mills, Khalid Siraj Textile Industries, Ramzan Baksh Textile Mills, Ittefaq Textile Mills, Brothers Textile Mills, Ittefaq Foundries, Khalid Siraj Industries, Barkat Textile Mills, Abdul Aziz Textile Mills, Brothers Sugar Mills and Effective (Pvt) Ltd. According to the documentary evidence, the deposed prime minister, Muhammad Nawaz Sharif with national tax number (NTN) has declared his income tax liability as 'nil' on June 30, 1998. His total net wealth (as declared) was Rs 2.1 million and total admissible debts were shown at Rs 6.4 million. So his net wealth, according to the tax statement (assets minus admissible debts), would go into deficit. The income tax liability of Mrs Kulsoom Nawaz was also shown as 'nil'. However, she declared a small amount of eight thousand rupee as tax on dividend from Chaudhry Sugar Mills where she had declared to hold 4,000 shares. The net asset value of Mrs Nawaz was shown at Rs 3.98 million. However, her net wealth was computed at Rs 32 thousand after adjusting admissible loans of Rs 3.95 million. So, she paid Rs 178 only as wealth tax for the year ending June 30, 1998. The tax return of Mian Shahbaz Sharif shows one thousand rupee tax deducted on dividend received by him from Chaudhry Sugar Mills. He had declared to have 5,000 shares of the unit. Mian Shahbaz also filed a deficit tax return of Rs 4.5 million. The Big Sharif-Mian Muhammad Sharif declared to have shares of Chaudhry Sugar Mills. Mian Sharif had paid Rs 50102 as his income liability. Father of the prime minister paid Rs 1.96 lac as wealth tax. He also owns 2834 PIUs agricultural land at Feroze Watoan Sheikhupura and Lahore. Mother of the prime minister also paid Rs 60 thousand income tax. She announced to have 18174 PIUs agricultural land in the rural area of Lahore. She paid Rs 131 thousand as agriculture income tax.